The dress is amazing, It's a bit big, but I have lost weight. The dress looks expensive and it's well made, I'm really impressed. I don't have a picture as of yet as I haven't had it taken in. I had such a great experience with this company that I referred my friend to the site a few months later. She bought all her bridesmaids dresses here!!! Thank you so much!I would recommend to anyone! Dress looked great when it arrived. The fit was right on target. Great fabric. So stoked with my dress! I was super nervous as I'd never ordered dress online before but the dress exceeded all expectations! Really well made and fit perfectly! Thanks! The dress is so well made and fits perfectly and the quality is great. 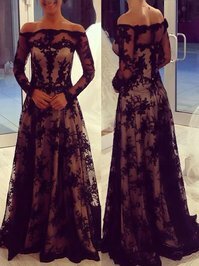 I will recommend this website to my friends and everyone looking for a dress. The price is reasonable and the quality is very high! The dress is high quality heavy well made dress. I recieved so many compliments.